Imagine being born into a world of poverty with a serious physical disability. This was the beginning for Lisa Olson, born without limbs in 1974. She was abandoned by her parents at a hospital in Manipal, India, where most of the doctors felt there was no point in keeping her alive. But Dr. Kuruvilla George believed that God had a purpose for Lisa’s life. He contacted the Ramabai Mukti Mission to find a special place for her and then traveled 37 grueling hours to bring her there. Her name was changed to “Manyata,” meaning “acceptance” in the Marathi language. The Mukti officials believed that Lisa required more extensive care, available in the United States. The only way that Lisa could travel to America was if she was adopted. Marie Olson, clearly heard the Lord’s voice to adopt Lisa and bring her home to America. She changed her daughter’s name to Lisa Manyata Olson. As she matured Lisa developed a passion to help others learn to overcome their disabilities or obstacles. 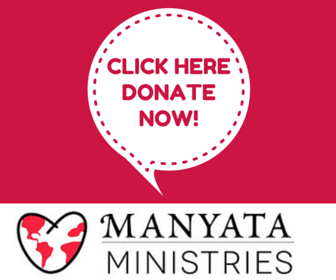 Through Manyata Ministries℠, she travels the world and shares this message of love with people struggling with life’s difficulties. Lisa has spoken to churches, retreats, schools, women in prison, wounded soldiers and additional groups. In her motivational messages, Lisa shares the story of her disability, its challenges, the life lessons she has learned and the opportunities she has been given. Lisa’s life clearly demonstrates her identity in God and ultimate dependence and trust in Him to overcome challenges and adversity. You will be touched, moved and inspired by her story.